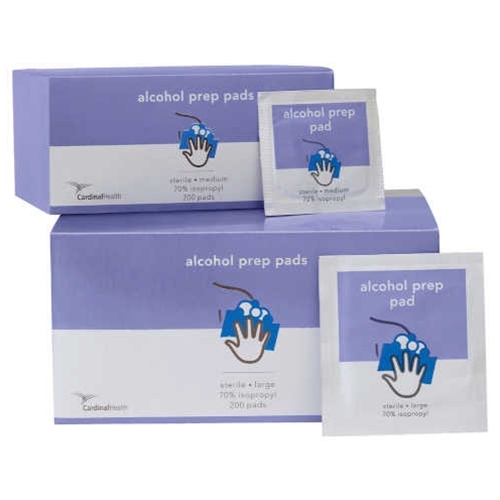 Webcol Alcohol Prep Pads from HealthyKin.com feature a premium, nonwoven pad material saturated with 70% isopropyl alcohol for effective scrubbing and cleansing. This larger alcohol is very good. Just enough alcohol in each pack. Size is easy to handle because of the size and opens up to cover a larger area. Thanks for offering at a great price. Both large and medium two-sided prep pads are excellent. Very good quality. Excellent prices. product was delivered very quickly to my house and it was exactly what i ordered at a great price. I will definately be ordering from them again. Very quick delivery - Thanks! These are larger than the standard alcohol wipes found in drug stores. They are also much more reasonably priced. I carry them in my purse primarily for cleaning my hands before eating in restaurants after handling germy menus, touching door handles, etc. Great service. Rapid delivery! Good quality of products. Will order again! My choice when it comes to alcohol pads. A must buy.